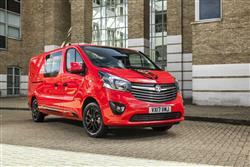 Vauxhall's entrant in the medium-sized Crew Van segment is the Vivaro Doublecab, the Luton brand's version of a design also shared with Nissan, Fiat and Renault. It's very competitive in terms of efficiency and carriage capacity and is British-built. Not every business can draw a clear-cut distinction between the need to transport people or packages. For some companies, the need often arises to deal with both kinds of conveyance and when that happens, it's very often necessary for the driver to take a more than a couple of passengers along for the ride. It's to meet this need that most LCV brands offer versions of their panel vans with a second seating row in front of the cargo bay. 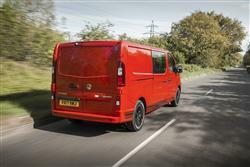 Here's one of the market's most popular options, Vauxhall's Vivaro DoubleCab. Not every business can draw a clear-cut distinction between the need to transport people or packages. For some companies, the need often arises to deal with both kinds of conveyance and when that happens, it's very often necessary for the driver to take a more than a couple of passengers along for the ride. It's to meet this need that most LCV brands offer versions of their panel vans with a second seating row in front of the cargo bay. 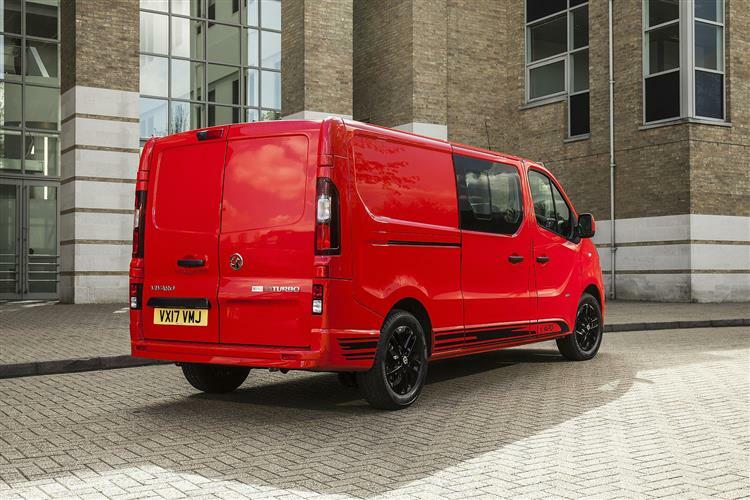 Here's one of the market's most popular options, Vauxhall's Vivaro DoubleCab. 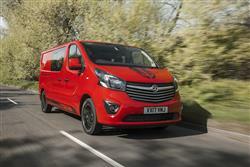 Four engine options are offered to potential Vivaro DoubleCab buyers. All use Vauxhall's trusted 1.6-litre CDTi diesel engine with power outputs of 95hp, 120hp, 125hp and 145hp. The two former are single turbo, while the latter pair are twin turbo. All are mated to a six-speed manual transmission. Vauxhall claims that these power and torque figures are what you would have previously expected from a 2.0-litre engine in this class. 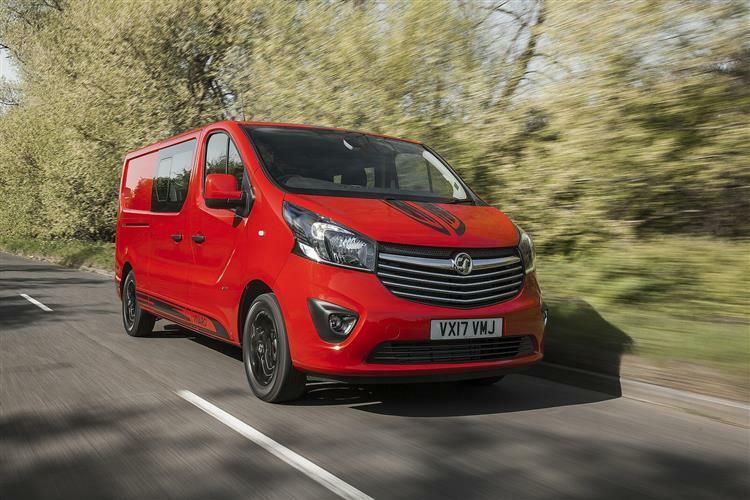 The brand reckons that this Vivaro will feel pretty much like a large MPV to drive and the driving position's as commanding as you would expect. Big door mirrors with convex surfacing on their lower and outer edges are present and correct to help with manoeuvring that can be aided by the neat wide angle mirror fitted to the back of the passenger sunvisor. Further embellishments intended to help you avoid urban scrapes include options like parking sensors and two kinds of rear view camera. 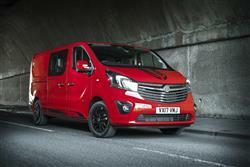 This Vivaro should prove to be a tough workhorse whatever its working conditions. Maybe that'll involve towing. If so, this vehicle's able, when equipped with a towing hitch, to pull a 750kg unbraked trailer and up to 2,000kg for a braked unit. The Vivaro looks anything but another anonymous panel van. There's a bluff Vauxhall front end, with plenty of chrome and huge headlight pods set in high-gloss black mouldings. The LED daytime running lights come with signature Vauxhall wing graphic design. Move round to the side and you'll spot the crisp blade feature flowing from under the side mirrors back to the rear wheel-arches in the same style found on the Insignia family and Astra GTC models. 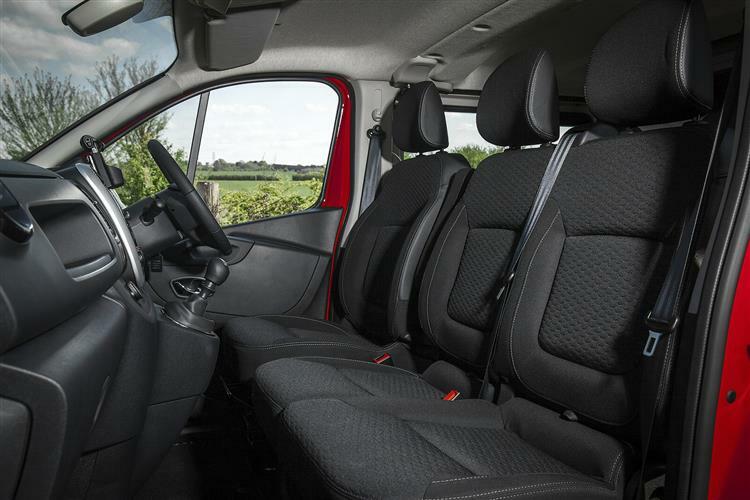 The DoubleCab versatility of having a rear passenger bench is welcome - and doesn't impact on rear load compartment capacity as much as you might expect. It's all enough to create a remarkably car-like cabin, with seats that rake back and more adjustability for the steering column. There are also some neat touches like a detachable clipboard and a place to hide your laptop. We tested the Vivaro DoubleCab in Limited Edition form, in which guise it's very well equipped, with features like air conditioning, metallic paint and navigation as standard. Mind you, you'd expect that for an ex-Vat asking price of nearly £29,000. More basically-specced Vivaro DoubleCab variants can be had much closer to the £20,000 mark. The test van also came equipped with some desirable extras, including Vauxhall's sophisticated 'NAVI 80 IntelliLink' infotainment system. There was also a rear view camera, an extra sliding side door and plywood coverings in the cargo bay. A further option we'd want is the Keyless Open & Start system, which means you can carry gear to the van without the need to fumble around for keys. These simple things can make a big difference to everyday utility. For example, if you're wearing gloves, you won't need to remove them to search your pockets for the keys to get things in and out of the van. The Vivaro BoubleCab panel van is offered in two lengths. The standard L1 configuration measures 4,998mm from stem to stern, with the L2 breaking the tape at 5,398mm. There are also two roof heights to choose from, H1 and H2. Our test vehicle was an L2H1 variant with a 4.0m3 loadspace capacity, 2,423mm of load area length and a 970kg payload. Vauxhall has made sure that those looking to upgrade from the previous generation model to the new can still fit their existing racking systems into the later version. If you're running a fleet of old and new vans, this transferability means real savings. As indeed does the fuel economy of the latest model. 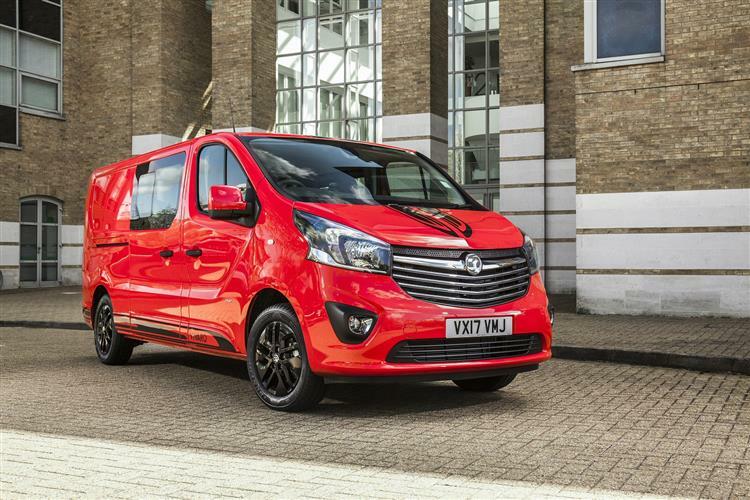 Vauxhall reckons the entry-level vans will achieve up to 49.5mpg, confidently predicting this Vivaro will deliver best in class economy. There's also an eco button to help you get the most from a gallon of derv. This Vivaro DoubleCab certainly looks like a decent step forward over its predecessor. We like the far more efficient engines, the more spacious load bay, the hugely practical cab and the better quality throughout. But should you select it with a Vauxhall badge rather than from a Renault, Nissan or a Fiat showroom? Aggressive pricing matched by a superior class-leading warranty suggests that perhaps you should. A tempting package then, for cost-conscious business buyers shopping in this sector. It won't be the first contender you think of in this segment but it remains one of the more sensible choices you could make.